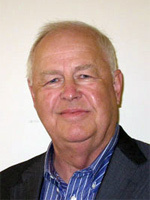 Dr. Thomas H. Adams holds a Ph.D. in Biochemistry from the University of California, Riverside. Dr. Adams founded Gen-Probe, Inc. in 1983 and served as its Chief Executive Officer and Chairman until its acquisition by Chugai Biopharmaceuticals, Inc. in 1989. Dr. Adams subsequently founded Genta, Inc., a publicly held biotechnology company in the field of antisense technology, and served as its Chief Executive Officer until 1997. Before founding Gen-Probe, Dr. Adams held management positions at Hybritech, Technicon Instruments, and the Hyland Division of Baxter Travenol. At the time of this interview, Dr. Adams served as the Chief Executive Officer of Genta, Inc.